Hainan Airlines Group affiliate Beijing Capital Helicopter took delivery of its first VIP-configured Eurocopter EC135 P2+ on January 15. The company will use the helicopter for passenger transport, tourism and EMS operations, including aerial tours during the upcoming Lunar New Year holidays. 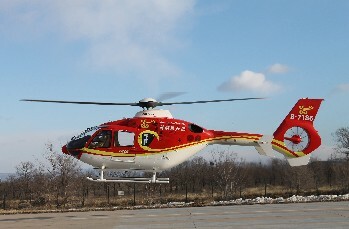 The new EC135 adds to Beijing Helicopter’s current fleet of five AS350 B3 Squirrels.